Planning a holiday – travelling by train? 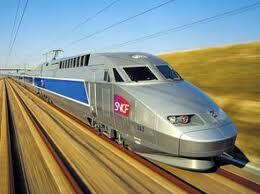 For those of you familiar with Rail Europe, this is now operated by Voyages SNCF. Also, there is a new direct rail service from Paris to Barcelona. Further details can be found on the ‘Topical News’ page. This entry was posted in Information sources, Travel and tagged Europe, trains, travel on March 5, 2014 by admin.